The ancient Egyptians didn’t only outclass in theoretical mathematics, but they were also brilliant in creating applications out of it. Termed an ‘irrational number’, pi cannot be expressed as a simple fraction, nor accurately calculated by dividing two integers. Equally intriguing, pi’s digits apparently extend infinitely beyond the decimal point without any logical pattern. Useful for calculating sizes, areas, and volumes of circles, spheres, cones, and cubes, pi is the ratio of the circumference of a circle to its diameter. For example, measuring a dinner plate, the circumference might be 82 centimeters/32.2835 inches, and the diameter about 26 centimeters/10.2362 inches. However, determining pinpoint accuracy of pi is among the greater mathematical challenges of history. Although meticulously studied by today’s supercomputers, as well as the greatest mathematical minds of every age since the notion of pi was conceived around 2,000BCE, calculations haven’t yet reached the finite value of pi. For practical uses, no more than two decimal places are needed for making reasonably accurate calculations, but, in fact, pi has been calculated to over two quadrillion decimal places. Even so, no end has yet been calculated. Measured as accurately as humanly possible at this time, the standard value of pi (without knowing the full end of it), is approximately equal to 3.14159265358979323846…. Ancient Egyptians formed a nation that excelled in countless scientific fields during ancient ages when the majority of other human societies were still living as primitive hunters and gatherers. Mathematics was one of those scientific fields which the Egyptians knew very well. Ancient Egyptian scientists preceded the ancient Greeks by hundreds of centuries in conducting great contributions to various branches of mathematics. One of these contributions was approximating the Pi mathematical constant. Dating to around 1650BCE, the Egyptian Rhind Mathematical Papyrus was written by Ahmose, a scribe copying a now-lost text from the reign of the Egyptian king Amenemhat III, between 1860-1814BCE. (*Dyer notes that 1 khet= about 52.3 meters, or about 57.2 yards). According to H. Peter Aleff of RecoveredScience.com, “five of the 84 example problems in the Rhind deal with the volumes of cylindrical granaries and use a simple rule of thumb for computing the area of the circular base. Without actually expressing the problem in today’s terms, the result of the calculation is an actual expression of pi – probably the earliest, and certainly the best that survives in writing from the ancient world as Aleff notes. The ancient Egyptians didn’t only outclass in theoretical mathematics when they started to approximate the Pi, but they were also brilliant in using their theoretical methods for their own benefit in creating technological appliances and generating daily life applications. With the 2008 discovery of seven large grain silos at Egypt’s Tell Edfu archaeological site, new information emerged about ancient Egyptian economics. It also offered a fascinating explanation for the Rhind Papyrus math problems calculating the volume of cylindrical grain silos. Initiated by permission from Egypt’s Supreme Council of Antiquities, under the direction of Nadine Moeller, Assistant Professor, Oriental Institute, University of Chicago, the silos at Tell Edfu are the largest granaries found in ancient Egypt. Dating from around 1630-1520BCE, the grain silos are roughly contemporary to the Rhind Papyrus. Providing context for calculating granary silo volumes, it becomes immediately clear that ancient Egyptian economists relied on the concept of pi to keep accurate accounting records for financial and budgetary purposes. The Pi wasn’t the sole irrational number that the Egyptians dealt with. 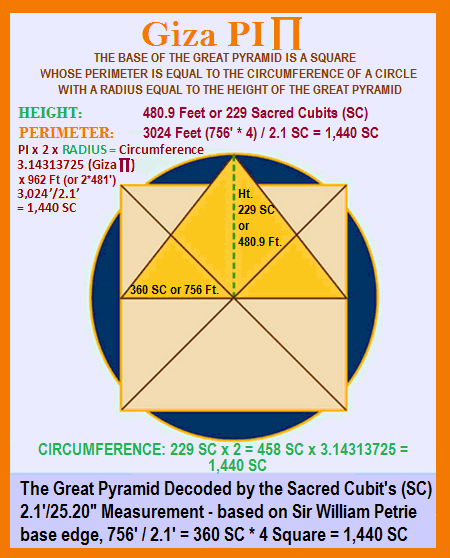 According to historians and archeologists the Egyptians were similarly aware of the Golden Ratio (1.618 …); this number which masters the proportions appearing throughout creation from the human DNA and quasi-crystals to the solar system and even in the price and timing movements of stock markets and foreign currency exchange. Despite the fact that the ancient Egyptians preceded the ancient Greeks in knowing the Pi and Phi and they taught both of them like many other sciences to the earliest ancient Greek mathematicians, but the western scientists of the mid-18th century decided to give the Pi and Phi numbers two Greek letter “π” and “φ” to represent them –in a repeated and weird unauthentic habit of usually attributing many of the scientific breakthroughs of the ancient Egyptians to the Babylonians or to the ancient Greeks. Ghiyath Al-Din Jamshid Masʿud Al-Kashi was a Persian Muslim astronomer and mathematician. Much of Al-Kashi’s work wasn’t brought to Europe, and much, even the extant work remains unpublished in any form. Professor Moustafa Mawaldi, Dean of the Institute for the History of Arabic Science in Aleppo, Syria, noted Islamic contributions to the accuracy of pi between 800-1500CE. 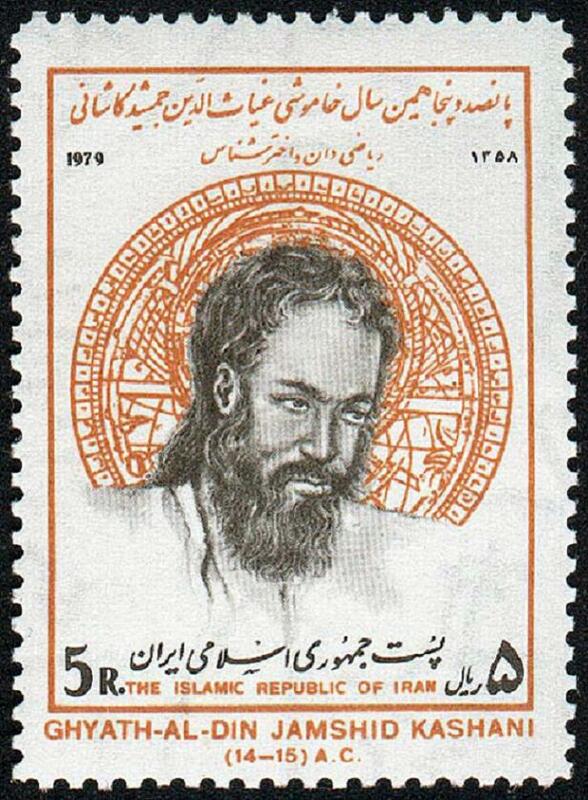 Muslim contributors included the father of algebra Al-Khwarizmi; scholar, mathematician, and author Al-Quhi; polymath scholar Abu Al-Rayhan Al-Biruni; and Jamshid Al-Kashi. Building on previous works of others, including Archimedes of Greece and the Indian astronomers Brahmagupta and Âryabhata, Muslims further refined the pinpoint accuracy of pi. Most notably, it was the work of the Persian Muslim Al-Kashi, 1380-1429CE, who hand-calculated the known value of pi to the 16th decimal place, far exceeding all efforts of preceding scientists. Pi is important for modern-day scientists studying planetary bodies and the spacecraft that visit them, determining the rotation of circular objects. For example, at NASA’s Jet Propulsion Laboratory (JPL) in California, pi is useful for Marc Rayman, chief engineer and mission director for NASA’s Dawn spacecraft. On March 6, 2015, NASA’s Dawn spacecraft began orbiting the dwarf planet Ceres. Calculating the length of time for Dawn to orbit Ceres at any given altitude requires an accurate value of pi. JPL Planetary chemist and astrobiologist Steve Vance also uses pi, calculating the volume of hydrogen, possibly available for chemical or biological use, in the ocean beneath the surface of Europa, Jupiter’s moon. Aisha Abdelhamid is a native of Long Beach, California, happily residing in Egypt with her husband, Mohamed.A syndicated writer for Important Media Network, Aisha often represents the Muslim perspective on EdenKeeper.org, an interfaith website exploring the relationship between faith and the natural environment.